Location Details Office location as stated. 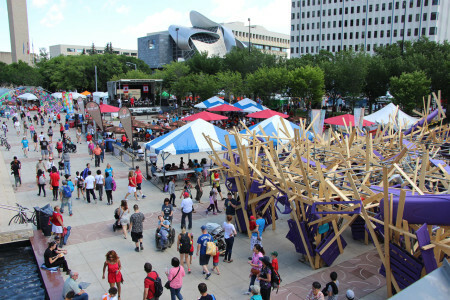 Festival takes place on Sir Winston Churchill Square in downtown Edmonton. The Works Art & Design Festival is proud to present the largest free art & design festival in North America, mounting exhibits in unconventional spaces and putting art at the forefront of the city's consciousness at the beginning of the summer. Featured proudly on The Works Festival's main site of Sir Winston Churchill Square is The Works Art Market, a bustling marketplace of the best in handmade, original art, craft, and design made available to the Festival's large and diverse audience. Applications to participate in The Works Art Market are available now! 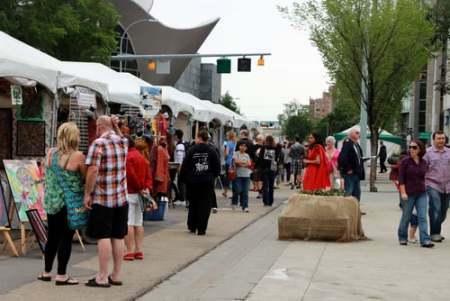 Visit www.theworks.ab.ca/vendors or contact marketing.assistant@theworks.ab.ca for more information.